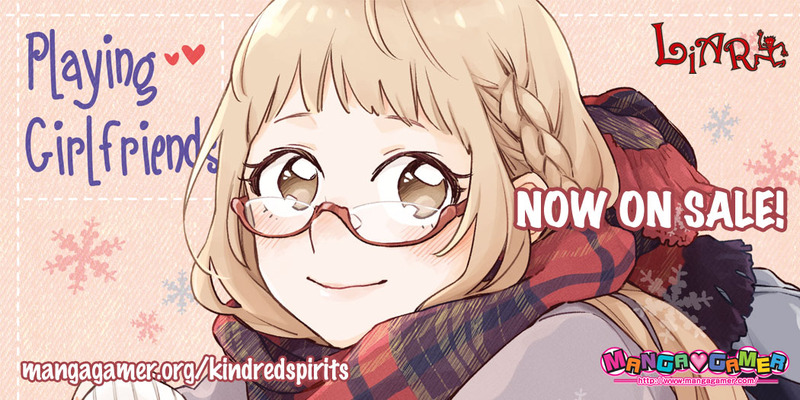 The first volume of the Kindred Spirits drama CDs, Playing Girlfriends, is now on sale! It’ll be available on Steam in a few hours! Please note that the Steam version is streaming video only. You can also pick up the full-set of CDs (the CDs will be added to the item’s downloads as they come out) or volume 1 with the game. Tagged kindred spirits, liarsoft, yuri, yurirei. « Kindred Spirits Drama CD Vol. 1 Available for Pre-order! What I really wish for the future right now is a hard copy collection with the game and all drama CDs. Anyway, going to buy the full-set right now! If you buy all 4 volumes at the 8.95 price you end up paying 35.8, that’s 4.15 dollars cheaper than buying the bundle, even if you ignore the sale price and calculate using the full price that equals 39.8, which is only 3 cents cheaper than the bundle. Usually when you buy bundles that makes you effectively preorder future products you expect that you will get the products for cheaper than if you bought them individually, if not then what is the point of buying the bundle? Vol.4 of the drama CD contains the official soundtrack and it will be more expensive than the rest of the volumes. At $39.95, it’s actually cheaper than 10% off the whole set! Alright if that is the case then the price makes sense, I did feel there had to be something I was not aware of that justified the price as it seemed a bit odd for Mangagamer to price it like that. I have a question about the drama CD. Is it standalone apart from the game? I bought the steam edition but I kinda prefer the mangagamer edition bonuses.